Meatloaf is a filling and nutritional main dish, but the preparation process can be time-consuming and tedious. Freezing raw meatloaf not only saves you time, but it preserves the quality of the ingredients so a healthy meal is always on hand when you need it. Whether you make your loaf with ground beef, turkey, lamb or chicken, all meatloaves freeze well -- you can even freeze double or triple batches at once to save even more time. 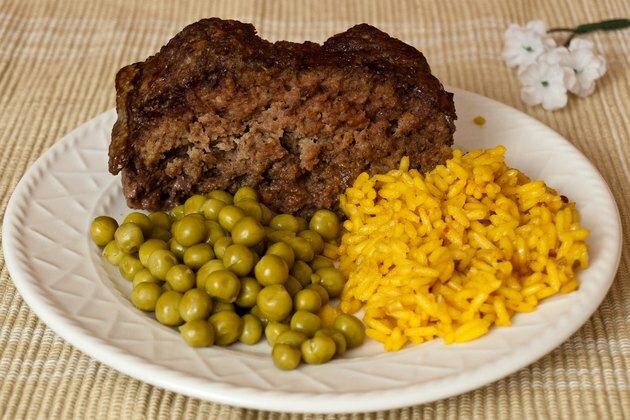 Prepare your favorite meatloaf recipe and mold it into a loaf-shaped mound. 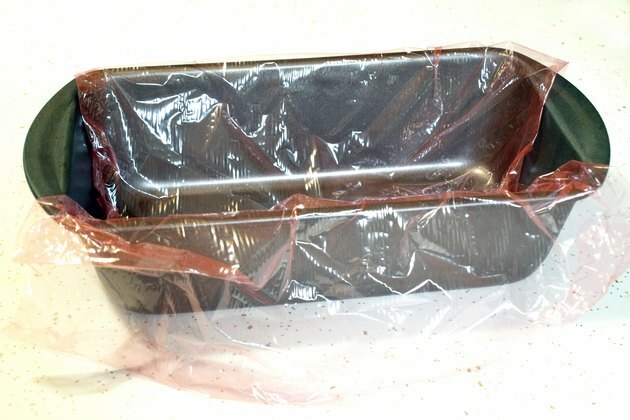 Line a loaf pan with plastic cling wrap, which will make the meat easier to handle after it's frozen. Place the meatloaf into the loaf pan. Put the meatloaf in the freezer for one hour. Remove the partially frozen loaf from the freezer. 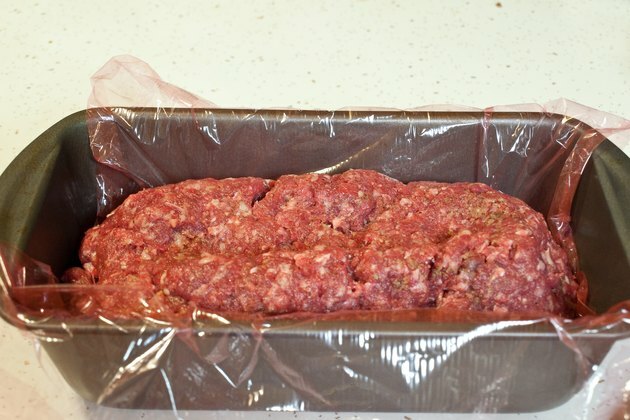 Pull the meat out of the loaf pan by tugging up on both ends of the plastic wrap. 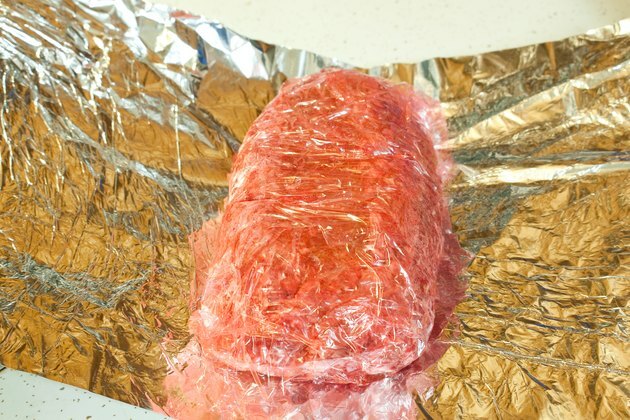 Wrap the meat securely in plastic wrap and then in aluminum foil. Place the loaf in a freezer bag if desired. 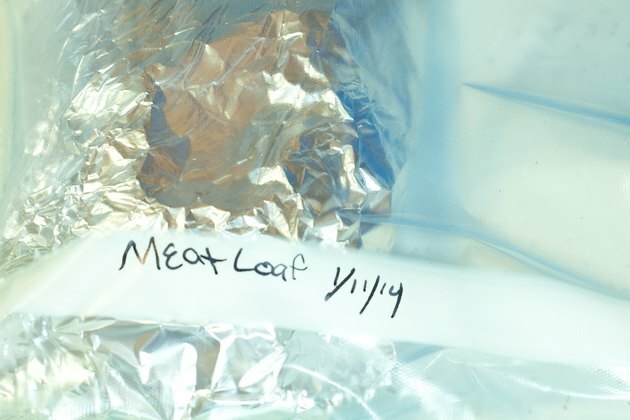 Mark the package with the date and freeze it for up to four months. Thaw your meatloaf in the refrigerator overnight. Refreeze or cook it within two days. For individual meals, shape your meatloaf into small muffin-sized balls and place them in a nonstick muffin tin. 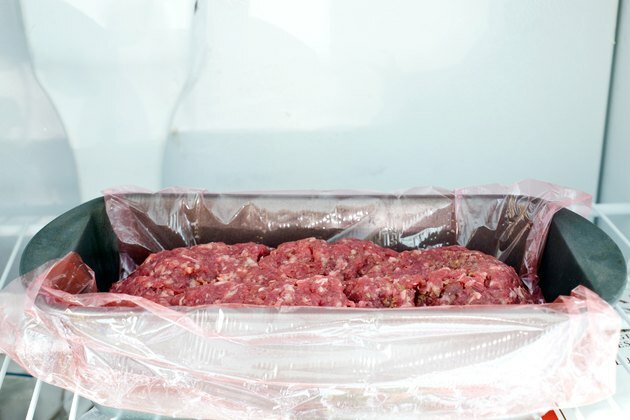 Once frozen solid, remove the mini meatloaves from the muffin pan and store them in a freezer bag for up to four months. Because sauces may separate when frozen, add sauce or ketchup right before you bake and serve your meatloaf. Freeze your meatloaf as soon as possible -- meat spoils if left out at room temperature for more than two hours. Raw meat can contain harmful bacteria, so wash your hands and all surfaces with warm water and soap before and after you prepare and freeze your meatloaf. The Food Channel: How Do I Prepare Meatloaf to Freeze? 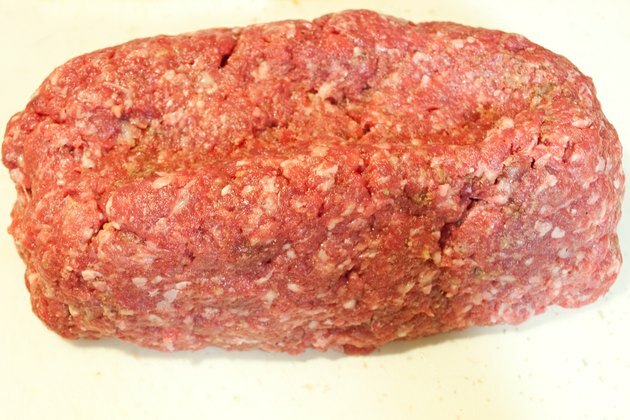 The Baltimore Sun: Is It Fine to Freeze Raw Meatloaf?